Given this philosophy, I founded CARRY in the fall of 2005. Children should be provided with equal opportunities despite socio-economic status or background. As a child, my parents, both insightful educators, taught me how to succeed in life through lessons of resilience, compassion, and the spirit of giving. As an adult, I have come to realize the importance these lessons play in one’s everyday life. In many cases they are the difference between triumph and preceived failure. It has become a personal goal of mine to instill the same attributes passed onto me by my parents to as many at-risk youth as possible by providing ongoing quality healthcare, social skills development, and general education support. Much like our logo, we intend to be that helping hand that guides our youth in need along a brighter path. We carry them to a safe, secure, and productive place. We invite everyone interested in our cause to join us as we form a circle of support around those we serve. As we move into our 9th year of service, look out for more news on the expansion of our current projects. CARRY welcomes you to join us, by way of monetary contributions and/or participating in our programs, as we continue serving the greater Los Angeles area. Dr. Grimes is an internationally recognized board certified dermatologist and medical director of the Vitilgo and Pigmentation Institute of Southern California. The Institute’s mission is to advance the diagnosis, etiology; and treatment of pigmentary disorders. Dr. Grimes is known globally for her innovative approaches to successfully treating a wide array of skin conditions. She has authored more than 100 scientific articles and peer reviewed publications. 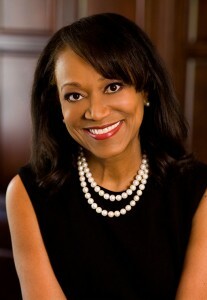 A graduate of Washington University in St. Louis, Missouri, Dr. Grimes completed her Dermatology Residency in 1979 at the Howard University Hospital in Washington, D.C. She is a member of multiple National and International Professional Societies, including the American Academy of Dermatology, the American Society of Dermatologic Surgery, the American Dermatological Association, Society of Investigative Dermatology, Dermatology Foundation, International Pigment Cell Society, and the Woman’s Dermatologic Society.